This is a very stylish Art Deco display cabinet. 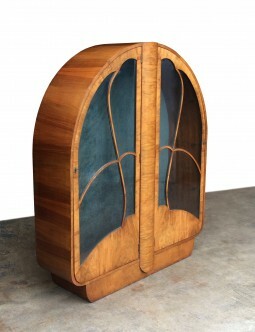 Very typically Art Deco with its Odeon like lines, it is constructed using figured crossbanded walnut. The piece is in good structural condition, conducive to its age. The cabinet was photographed without it shelves in position. The three original glass shelves are included. Delivery can be arranged to any part of the country. As a guide, delivery to London and most parts of England would be £75. We use an experienced carrier that is well used to moving antique furniture with the appropriate care. Collection is, of course, welcome. 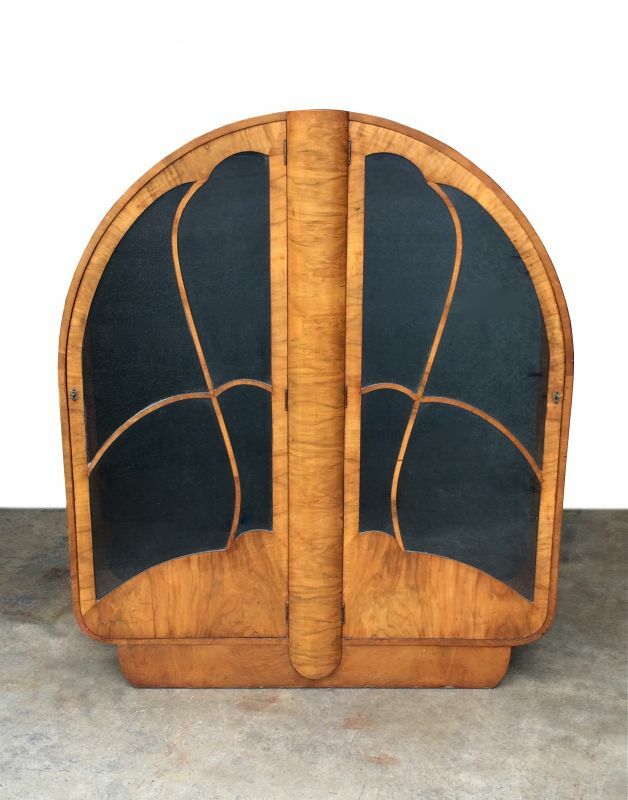 Please feel free to call with any questions on 07970 800786, 01364 654401, 01364 653922, or email james@apolloantiques.com If you like the style of what we have for sale, and would like us to keep you informed of new products on an occassional basis, please visit apolloantiques.com and enter your email address for the mailing list. The measurements are 40½ inches (113 cm) wide, 13 inches (33 cm) deep and 52½ inches (134) cm high.